Looking to notarize documents in the zip code 95608? Schedule a traveling Notary at your location, Residence or business. Cannot find a Notary? Cannot drive? We come to you. 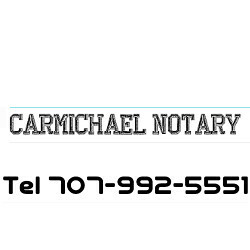 Schedule a Notary appointment at 707-992-5551. Coverage areas: Sacramento County, Yolo County, Placer County. Looking for a Title Company in Carmichael? Monthly meeting California Mobile Notary Network,http://www.CAMNN.com December 12, 2015.